Despairing Southampton and England fan, Husband, Blogger for Shoot magazine , IT enthusiast(geek), Isle of Wight Independence Activist, Ex-Squaddie, Hugley Sarcastic, Occasionally Witty, Bert from Sesame Street Lookalike and all round top bloke. No game this season has been or is likely to be as big as this. Just nine goals separate Saints and Reading, and both have a six point advantage over third placed West Ham. There is just four games left to play and on Friday night they face each other. Realistically, both sides need seven points (six for Saints with their goal difference) from their remaining four fixtures to book a return to the big time so Friday’s match gives both an opportunity to both make a major dent in that and take the advantage in the race to be Champions. Reading have been on staggering form after a shaky start, and Saints have been in the top two all season. This really is a case of “the unstoppable force against the immovable object”. 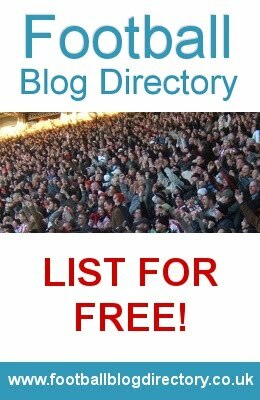 Reading have a few players either injured or recovering when they visit St. Mary’s, and Saints will be without playmaker Morgan Schneiderlin, but hopefully this game will live out to be the spectacle that it deserves. So this is the big one, how do you feel it will go? “It’s weird because for ages this is the game I’ve been most confident about. I thought we’d get a draw at West Ham and get beat at Brighton before nicking a win at your place. Now that we’ve got 5 more points than I thought I’m suddenly more nervous! While Tuesday night was a great win it was very much a backs to the wall effort (a bit like your win at Leeds a while back!) and we very much felt the impact of having our first, second and third choice central midfielders out injured (Cheers Colin & Leeds….) . Jem Karacan is out for the season while Mikele Leigertwood and Jay Tabb are both doubts for Friday’s game and without at least one of those back to partner Hayden Mullins we might well struggle to contain you. Beyond that, with the likes of Lallana, Sharp and Lambert you’ve got the ability to punish us but our defence have risen to just about every challenge so far and I hope they will do again. After a less than impressive start, your turnaround has been amazing, what changed? “Losing at Wembley + No Money + Selling our captain & top goalscorer = a bad Reading side to start the season. Losing Matt Mills and Shane Long was always going to be difficult, especially when those are sales to survive rather than to generate funds for new signings. On top of that, some of the team that did so well at the end of the previous season came back injured or just plain out of form. Ian Harte, Jem Karacan and Mikele Leigertwood were all horribly out off the pace and there just seemed a malaise around the place. 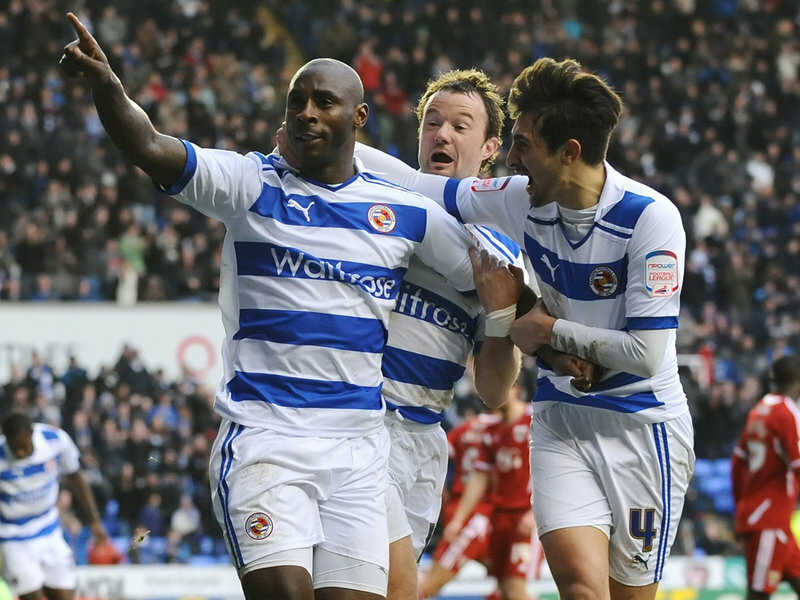 Jason Roberts has proved a potent force as Reading charged up the table. Who do you fear in the Southampton side? Your the boss, how do you lineup the side to beat us? “Without knowing who will and won’t be fit it’s a bit of a nightmare! Based on who MIGHT/HOPE will be fit I’d stick with the tried and tested 4-4-2 that has done us so well this year. Our gameplan is based on soaking up pressure, with our central midfielders sitting deep and winning the ball to release Kebe and McAnuff, or getting it up to Hunt or Roberts to flick on from one another. It’s quite scary to watch as often we’re happy to give the oppossition the ball in our half but we seem to have a lot of control and patience and even going behind doesn’t phase us. How will the top 3 look after the last game of the season? “Hoping it’s 1. Reading 2. Southampton 3. West Ham. I was happy to return the favour for Dan, read my responses to his questions here. Despairing Southampton and England fan, Husband, Ex-Squaddie, Hugely Sarcastic, Occasionally Witty, Bert from Sesame Street Lookalike and all round top bloke. Are Southampton serious about Europa League qualification? Who are the next stars to emerge from the famous Southampton Academy? Will Southampton allow Nathaniel Clyne to transfer to Manchester United this summer? Why are Southampton fans so upset with their victory over Hull?